Study outcomes: The study demonstrated that screening for colorectal cancer was feasible in a primary care setting in a middle-income country. The Thai government is considering scaling up the programme and implementing it in other provinces. 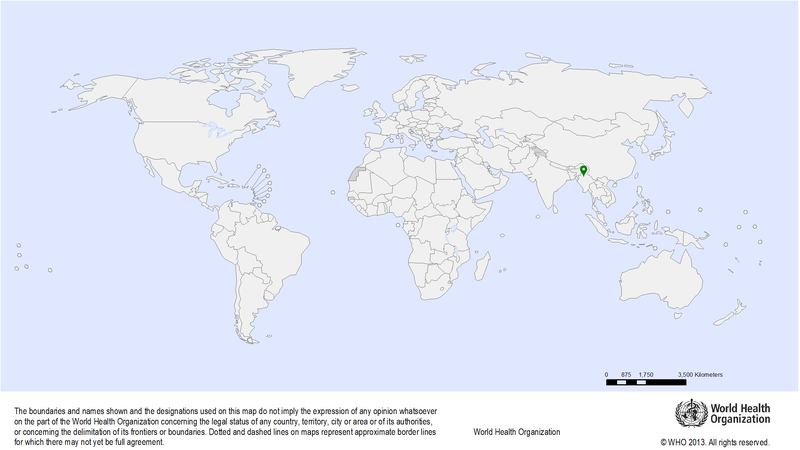 Publications: Khuhaprema T., Sangrajrang S., Lalitwongsa S., Chokvanitphong V., Raunroadroong T., Ratanachu-Ek T., Muwonge R., Lucas E., Wild C., Sankaranarayanan R. Organised colorectal cancer screening in Lampang Province, Thailand: preliminary results from a pilot implementation programme. BMJ Open. 2014;4(1):e003671. Methodology: A cross-sectional study will be conducted between November 2017 and February 2019. The study is a population-based pilot demonstration project of CRC screening using immunochemical faecal occult blood testing (iFOBT), targeting eligible men and women residing in the geographical region covered by selected primary health centres in the Rabat region of Morocco. The study will be widely publicized in the region to inform and encourage eligible men and women to voluntarily participate, adhere to the protocol, and benefit from the programme by reducing their risk of developing CRC. 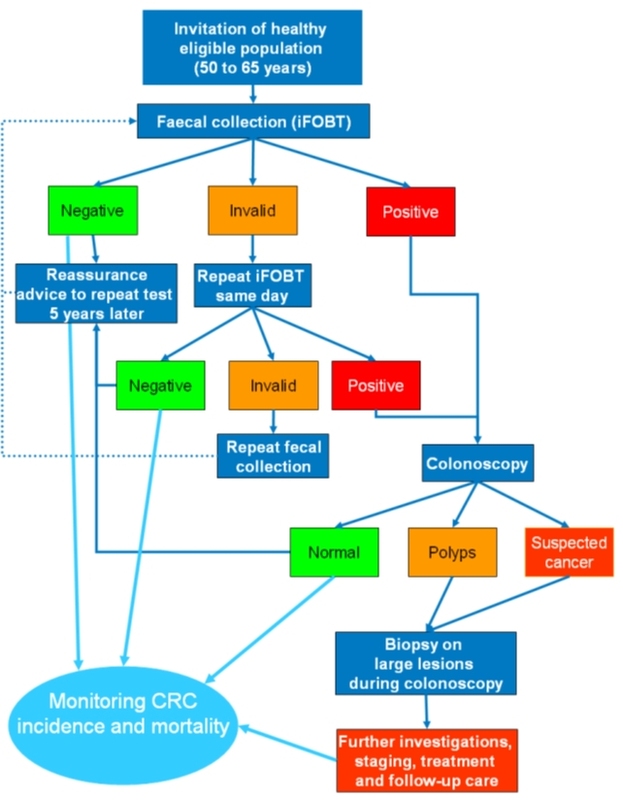 Objectives: To evaluate the acceptability, feasibility, organization, implementation, monitoring, and evaluation of colorectal cancer screening in the general population setting in the Islamic Republic of Iran by integrating the programme within the existing public health services to inform and guide the eventual large-scale scaling up of colorectal cancer screening to cover the entire country. Methodology: A study will be conducted between December 2018 and December 2023. The study is a population-based pilot demonstration project of colorectal cancer screening using immunochemical faecal occult blood testing (iFOBT), targeting eligible men and women (age 50–70 years, free of bowel symptoms) residing in the geographical region covered by 20 selected primary health centres in the Tehran region, Islamic Republic of Iran. The study will be widely publicized in the location to inform and encourage the eligible men and women to voluntarily participate, adhere to the protocol, and benefit from the programme.